In Japan, it is customary that miso soup is eaten with meals. To get a typical Japanese atmosphere at home is nice to eat the soup in this miso soup bowls. 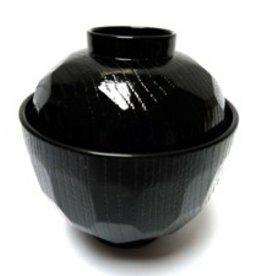 Black large miso soup bowl with lid, so the miso soup remains warm. 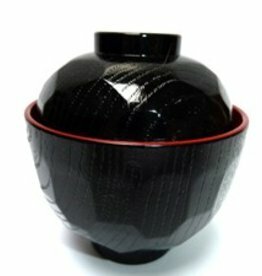 In Japan it is common to drink the soup from the bowl. Do you want to taste a real Japanese atmosphere? Then this Japanese miso bowl is very nice to serve miso soup! 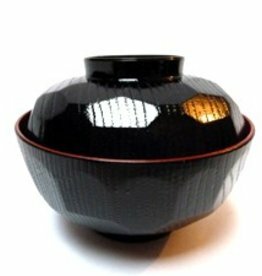 This beautiful chic black red miso soup bowl with lid is typically Japanese and fun to eat miso soup. 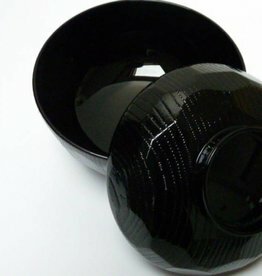 This wonderful little black Japanese bowl of miso soup is red on the inside and is lockable with matching lid.